Walking the floor at New York Comic Con 2017 – AiPT! 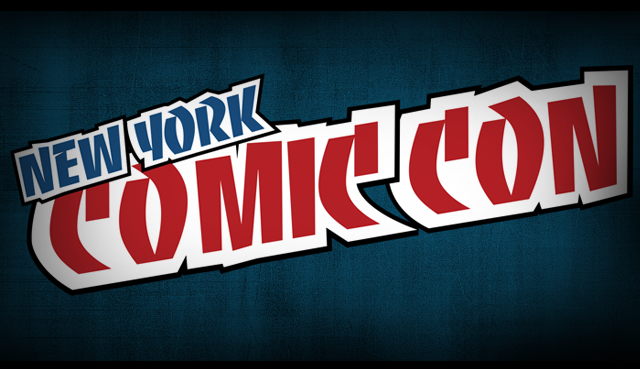 AiPT!’s Michael Rosche takes us through his first day at New York Comic Con 2017. There are often so many interesting panels and screenings at New York Comic Con, it’s easy to ignore the attractions on the Show Floor that don’t get the same level of press coverage as the annual Walking Dead panel or the latest Star Wars teases. So on day 1 of NYCC 2017, I walked the floor to discover what else this year’s convention had to offer. The highlight of the day was 20th Century Fox and Weta’s War for the Planet of the Apes Exclusive Motion Capture Experience. Here, I received a small taste of what it takes to turn actor Andy Serkis into the ape Caesar, as I donned a partial Mo-Cap suit. I then hopped on a horse simulator and, as Caesar, reenacted the “Bad Ape Chase” scene from the film War for the Planet of the Apes where the ape characters hurriedly ride on horseback through a snow-covered forest. My own movements then translated to that of the Caesar avatar in the scene playing out on the screen in front of me. The goal is to try to duck various fallen trees to avoid being knocked off your horse. Surprisingly, this is not part of any upcoming video game but merely a demonstration of the motion capture technology. Though it’s hard to imagine gaming companies aren’t hoping to develop games using such immersive technology in the future. The Live Stage offered attendees 15-minute short-form Q&A sessions out in the open without having to stand in any line. Here, author David A. Goodman sat down to discuss his newest book, The Autobiography of Jean Luc Picard from Titan Books. This isn’t the first “autobiography” he’s written in the voice of a fictional Starfleet captain. Goodman also authored Captain Kirk’s autobiography and announced at the Con that he’ll next be ghostwriting Mr. Spock’s autobiography. Goodman has written for television for 26 years, including for Star Trek: Enterprise and the Nebula Award Nominated “Where No Fan Has Gone Before” episode of Futurama featuring the surviving cast of Star Trek’s original series. The Autobiography of Jean Luc Picard features a Forward by Beverly Crusher, which is apparently then interrupted by Q. Further, the book includes Picard’s first-person account of what he experienced during his Borg conversion to Locutus and, according to Goodman, fills in the gaps of what audiences know while also exploring new territory in the life of the Enterprise-D captain. Adam Savage from The Mythbusters also came to the Live Stage to discuss his latest project, Brain Candy, a 2-hour live traveling roadshow he’s making with YouTube star Michael Stevens that he describes as a TED Talk meets a big-budget Vegas show. Savage says the goal is to make science education more accessible. Unfortunately, the line was too long to check out Echo Escape, an interactive escape room promoting Tom Clancy’s Jack Ryan series coming to Amazon Prime, but I’m hoping to get the opportunity later this weekend.